Brandon oversees the day-to-day operations of ATC and is responsible for staffing, fundraising, and communicating with school leaders, legislators, and the public. Born and raised in the Arkansas Delta, Brandon taught 10th grade biology in the Helena-West Helena School District with Teach For America and 9th grade Algebra 1 in the Osceola School District before joining ATC full-time in 2016. While in HWH, he also served one year as a campus instructional coach for science grades 7-12. 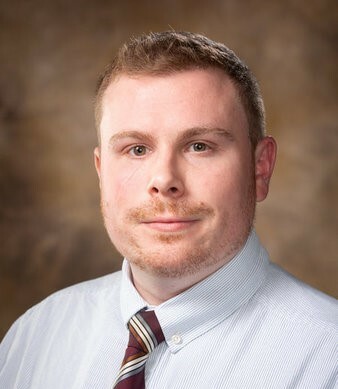 He has served as a science learning team leader with Teach For America Arkansas and worked with the Arkansas K-12 Science Standards Committee to draft NGSS-aligned high school life science courses. Brandon has held a variety of part-time ATC roles, including summer mentor in 2014, professional learning community leader for science in 2014-15, and teacher support specialist in 2015-16; before being named Executive Director, Brandon previously served as the Director of Teacher Development, coordinating professional development and analyzing various data to evaluate ATC’s program effectiveness, and as the Managing Director of Summer Institute where his responsibilities included managing summer staff, coordinating logistics, liaising with community partners, and monitoring Fellow progress. Brandon holds a M.Ed. in educational leadership from Arkansas Tech University and a B.A. in environmental economics from Washington University in St. Louis.